This Listing is for the 1st Edition Download. We also have the 2nd Edition Available for download. This tool is invaluable for professional law students and amateur legal scholars as well. 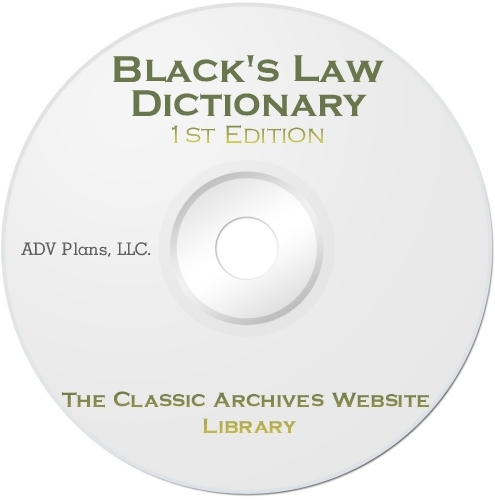 While the original text is very hard to find, and costly if you do find it, this download contains all the pages from the first edition of the Black's Law Dictionary. This digital copy will never age like a real book, and you don't have to worry about it losing value by using it. It is truly a great legal reference tool that goes back over a hundred years. 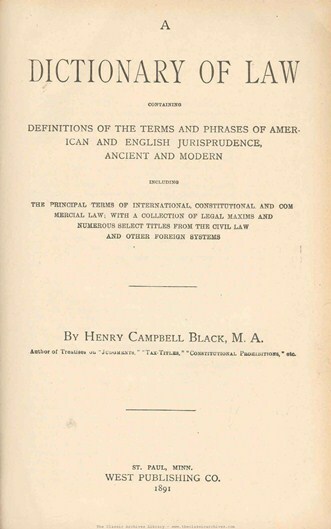 Great for understanding legal history, as original law was written in the United States. Once you burn it, it will start in most PCs and contains our custom HTML index that is organized alphabetically and can take you to the specific page you are looking for, which will save you countless of hours of time. 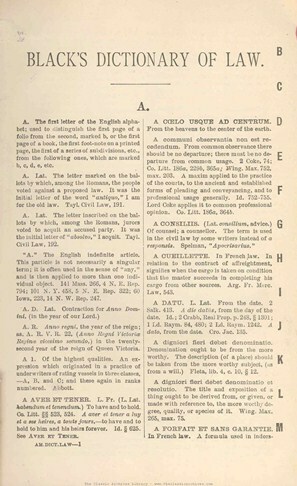 Each page is a high quality JPG of the original text. There is no special software required other than a browser window.